Companies of all types and sizes have implemented Supplier Diversity programs to increase the amount they purchase from diverse suppliers. At Plastomer, we are proud to have joined with a highly respected minority firm, Inteligente Solutions, to create Inteligente Technologies, LLC. 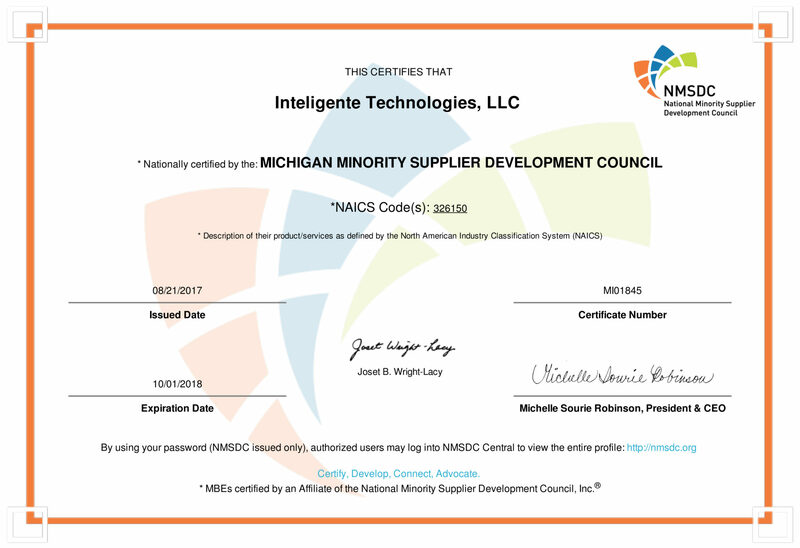 CLICK HERE to view our MMSDC minority certification for Inteligente Technologies LLC. CLICK HERE to email Kathy DeCaires in Sales at Inteligente Technologies. CLICK HERE to email George Baughman Jr.